Ethiopia's state-owned Commercial Bank of Ethiopia (CBE) is ranked number 40, among Africa's Top 100 Banks by African Business magazine, based on capital. Ethiopia has just two banks in the Top 100 list with the other being Dashen Bank which is ranked 100th. CBE is the second largest bank in East Africa region, with a capital of $473 million and total asset of $5.2 Billion. CBE's profit for the latest fiscal year is $141 million. The largest bank in East Africa region is Mauritius Commercial Bank, followed by CBE and Kenya Commercial Bank. 40 of the top 100 banks are based in North Africa, 26 banks based in West Africa and 20 banks in Southern Africa, 12 in East Africa and 2 in Central Africa. 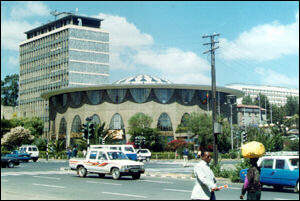 Dashen Bank SC has a capital of $81 million and is ranked 100th. The top 5 banks are all based in South Africa, with Standard Bank Group (Stanbank) being Africa's top bank. Nigeria has the most number of banks in the top 100 list, having 19 banks in the list followed by Egypt which has 12 banks and Morocco and South Africa each have 8 banks. Kenya has 5 banks in the list with a sum total capital of $1.1 Billion, more than twice that of Ethiopian banks which have a sum capital of $554 Million. Africa's Top 100 banks have a total sum capital of $83 Billion.